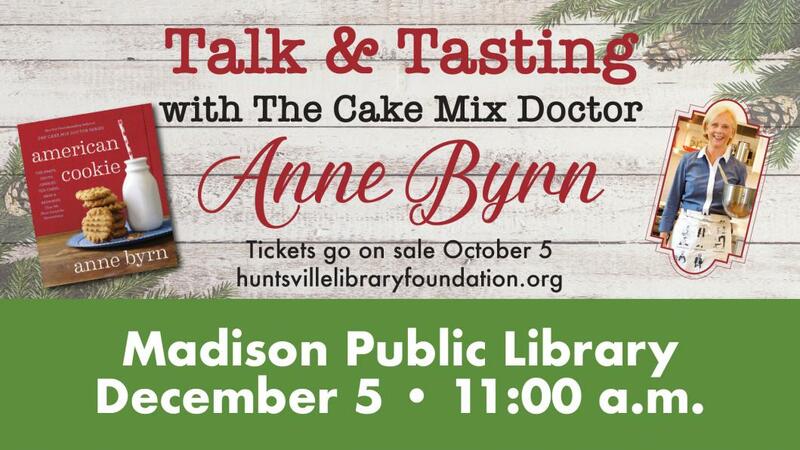 Join us at the Madison Public Library for a talk, tasting and lunch with New York Times bestselling author, Anne Byrn, on Wednesday, December 5. Each ticket includes lunch and a copy of her latest book, "American Cookie." Seating is limited, so purchase today. Seating is on a first come, first serve basis. Your ticket will be at will call on the day of the event. If you have any questions, please call 532-2358 and your message will be returned in one business day.